There are two basic rules to the formation of a legal contract; offer and acceptance. One party makes an offer or agreement to provide a service and the other party accepts the offer. By setting out the terms and conditions of offer and acceptance a legally binding contract has been made. If the contract is broken, or breached, then the law can used to enforce the contract. Consideration and intention are two other factors that make up a legally binding contract. Consideration is usually the exchange of something, such as wages for work with an employment contract. Intention is where both parties make a contract with the intention of that contract to be legally binding. These terms are used more in common law and may not hold any weight if a dispute reaches the law courts. If a dispute does reach the law courts then a judge will be looking closely at the terms and conditions of the contract in practice. Many people are unaware of the various ways that legally binding contracts can be set down. By far the best way of making a contract is for both parties to sit down and draft up a contract in writing with all the terms and conditions laid out. In today’s world there are many different forms of communication options, and emails, faxes, and telephone call agreements for exchange of services are all considered legally binding contracts. As long as an offer and acceptance is made or implied then any breach of contract can be legally disputed. Although the contracts described above are legally binding, it does not mean that there is absolutely no way out of a legally binding contract. The terms and conditions set out in a contract are of paramount importance when disputes reach the legal courts. Where consumers are concerned, unfair contract terms and a lack of good faith on behalf of the trader may mean that the contract is not legally binding. The basic rule as to what constitutes an unfair contract term is that there is a significant imbalance in the terms towards one of the parties’ rights and obligations. This imbalance will usually be detrimental to the consumer, and the trader will usually have shown a lack of good faith and will not have acted openly or fairly towards the consumer. Many of us are unaware that we enter into legally binding contracts every day. The simple act of purchasing food from a shop is a legally binding contract between shop owner and consumer. Having dental work undertaken is a legally binding contract, a simple agreement to have someone cut the grass in your garden for some form of payment is a legally binding contract. Disputes usually occur when one person decides not to honour one or more of the terms of the agreement. There are certain contracts that under the law do need to be set out in writing; these will include contracts such as the sale of property, shares, and intellectual property rights. If a contract issue does reach the law courts then there must be a certainty of contract. This means that for the contract to be legally binding it cannot be vague or ambiguous. The terms and conditions must have been clearly set out in fact and not just in principle. A judge may look at unclear terms and then try and clarify them but this will be dependant on the individual case appearing before the court. 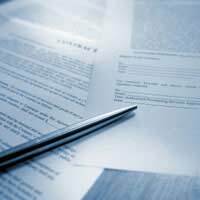 Legally binding contracts are used by people every day. There are laws set out regarding legally binding contracts in order to protect both parties involved in the contract. Legal disputes can be long and costly, and breaching a contract is a serious matter that should never be taken lightly. One interesting question is 'does a text message create a legally binding contract?'. Richard Brittle of Brittle Motors based in Stoke-on-Trent believes that it does. Over the coming weeks our leading in-house barrister will report on her findings which should make for interesting reading. Hi. My ex partner took out finance on a car, at the time I agreed by text that I will help pay for this. Now we aren't together am I still liable to pay for this? To add she's denying me access to my son if I don't pay which I have in writing via text. My employee verbally acknowledge a service over the phone from an advertising agency, knowing nothing about it they are now saying I have to pay for the service and the charges for not paying on time. This employee has no access to business money and does not pay the bills, the agency called the pubs landline. Do I have to pay this? hi me and my partner are going through the process of dividing our house.she has told me by text message she would accept 50k ..would this be a law abiding ?? @J - Someone has to be accountable for the agreement and that would be you or your employer. So my partner had went and got his ex partner a car out in his name for her (well call her shiela) because she had bad credit they broke up and sheila was to pay so they set up a joint account sheila lodged money into that and the company withdrew it from that, sheila started missing payments and then stopped paying shiela was then caught drink driving, band and then driving whilst band etc the car was took from her , my partner had been sent a letter about the payments as off course the car still needed paying for, the company sold the car and there was an outstanding payment of a round £3000 still to be paid which was agreed to be paid by Sheila , she now refuses to pay anything. There is txts to prove the car was for her, that she was insured on it, she had been lodging payments into the joint account so it could be paid etc b ur she's saying there's no proof and that she won't hav to pay, if he takes her to court has he enough evidence indicating that the car was in fact for her and that sheila is infact due to pay for it? As long as your partner can prove the money was a loan and the car was not a gift, he should have a case. My ex boyfriend and I own a house together, it is his intention to say in the house and buy my share. we agreed through text message late at night about figures. Which were then transferred. I feel I settled foolishly and would like to sell the house. Is the interaction and money transfer enough of a contact that I can’t change my mind? If the settlement money has changed hands and you wish to go back on your promise you can change your mind and/or ask your ex to reconsider. However, his option would be to apply to court if you refuse to sign the transfer of sale documentation. If it goes to court, please be aware that court and court representation will cost. @EO - you are trying to claim on a fragile technicality, I don't think you have much in the way of rights in this instance. They'll just say the cut-off point was midnight. Hi. I am 17. My parents are divorced and I have little contact with my father. He was asked by my mother in text message if he would contribute half of cost if my driving lessons. He declined but replied he would give me £240 towards cost which would be my birthday and christmas money. He now refuses to give me anything. Is it legally binding as it was all in text. It is not legally binding, your father is entitled to change his mind. After a longer-than-normal negotiation to let a house that was concurrently listed for rent and for sale, the owner of the property we were pursuing sent us a text message: "Hi, could not get hold of Hamptons towards end of day, but we are in agreement to move forwards I believe, have instructed house to come off market asap. Many thanks." The following day the letting agent followed up with paperwork and a request for a holding deposit, which we paid immediately. Based upon that chain of events, we started buying basic furnishings that were scheduled to be delivered starting one day after the agreed upon date to begin our tenancy. Two days prior to the start of the rental term, we were sent the lease to be executed electronically. But before all parties had signed signed it, the agent informed us that the owner had actually not withdrawn the property from the market as promised and had since agreed to sell it to another party. Do we have any redress to either (a) enforce the owner's promise to let to us or (b) receive compensatory damages beyond the return of our holding deposit? I am sorry to hear this. Unfortunately, there is little you can do with regards to this matter unless the lease was signed and exchanged. These are UK laws. However, if you live elsewhere in the world the laws may be different. In which case, as we are a UK-based site you may wish to seek further advice. Unless an agreement has been awarded through a court, then it is not legally binding and either party can renege on such an agreement. However, you can use it as evidence in court of how your ex is obstructing access. 3 years ago i caught a felony assualt and misdemeoder assult .family violence... They were bogus charges from the ex and we got back together and she filed affidavit of non prosecution and they are now dropped... My question is we broke up 2 months ago and she wrote up a agreement on the days i can get my kids and we both signed it...so now last weel she tell me i cant see them till court... So is the agreement binding till then? My husband made an agreement that she would pay her money each month on what was owed him from his mom’s death. She agreed on an email that the balance would be paid off in Sept 2016. This was not stated on the promissory note so she says that she can just continue to pay each month. Is this right? I have worked as a cleaner for 6 yrs on a wkend 6hrs total and i work the bar every weds eve 4.5hrs (same place) i dnt hav a written contact only a verbal. Can they just get rid of me for no reason? I need help and advice of what to do as i hav heard on grapevine this is going to happen. My ex-partner recently contacted me by email offering a lump sum in full and final settlement of maintenance for our son. I accepted this and requested he pay within 7 days. He told me that he would have the necessary documents drawn up by his solicitor and they would pay the lump sum on receipt of the papers signed by me. I agreed. He is now saying he can't pay it because his solicitor has told him that he can only pay a lump sum once a year and a signed document by me would not stand up in court and I could request further money in a year's time. I told him that I would sign a document stating that I would not ask for more money but he is now refusing to pay the lump sum. Is the offer by him and acceptance by me via email legal binding? No, this is not legally binding as his solicitor is correct. Your ex may have agreed to pay you a lump sum in principle, but this does not stop you from applying for child maintenance in the future. You may feel positive towards the agreement now, but say for instance your circumstances change and you lose your job, or you become less well off for some reason. Or the cost of living goes up and a decade down the line you feel you have been short-changed, it means you would be able to claim from CMS and this would override any previous solicitor's agreement made. So, your ex just actually being sensible here and adhering to the advice of his solicitor. A solicitor's agreement would not stand up in court, so despite your promises, circumstances can and do change and your ex is obviously erring on the side of caution that he could end up paying twice. I'm afraid, no solicitor would ever encourage him to pay a lump sum now in order to offset future child maintenance. It sounds as though this seemed like a good idea drawn up in principle and without too much forethought, but a practical one that should be avoided. My ex-partner recently contacted me by email offering a lump sum in full and final settlement of maintenance for our son.I accepted this and requested he pay within 7 days.He told me that he would have the necessary documents drawn up by his solicitor and they would pay the lump sum on receipt of the papers signed by me. I agreed.He is now saying he can't pay it because his solicitor has told him that he can only pay a lump sum once a year and a signed document by me would not stand up in court and I could request further money in a year's time.I told him that I would sign a document stating that I would not ask for more money but he is now refusing to pay the lump sum. Is the offer by him and acceptance by me via email legal binding? I received a letter containing details of a pension payout with the following wording “I’ve arranged for your Pension Commencement Lump Sum (PCLS) of £15,463.14 to be credited to your bank account.The payment should reach your account within 5 working days. Your first pension payment will be paid to your bank account on 7 September 2017 and will include the arrears due from your retirement date.”My retirement date was September 2013.The pension company are now claiming that they used September 2017 as my retirement date and that the PCLS was calculated up to that date and that no arrears are due.I would contest that apart from them making an offer and me accepting it they have used the same lump sum in both calculations which cannot be correct.Can you please advise? It's difficult to know as much depends upon what they are stating the 'error' is. Insurance firms will refuse to pay out of there has been a mistake on the form, or if circumstances haven't been updated, or the person claiming has mislead the insurance company. They will always try to find a way not to pay if and where they possibly can. Therefore, you may wish to seek independent advice. I have emails to both myself and a mortgage company staying my ed husband does not want to fight over the house or want anything from the house. He has now gone back on this 2 years later and is trying to get 50% will the emails hold up in court? Much depends upon the reasons why he has gone back on his word and whether those reasons are seen to be justifiable. @CeebeeI would send him another letter telling him he is not to plaster and if he does he will not be paid for the job and also you will take him to court for damages if he goes ahead. November 20 the tenant renting my hse decides he can plaster a dining room he is renovating. He is not a trained plaster and has limited experience. I texted him I would pay him $1200. To plaster. It is now December 7 and he will soon beready to plaster. I texted him today and told him I would rather bring in a professional plaster . Based on his limited experience and it is a LG room. He responded with he is going to plaster. I asked him not to proceed and responded he is still going to plaster. So if he plasters am I on the hook for 1200 even though I told him not to proceed.